You would imagine that a tool that helps employees to connect with each other and their managers, along with their HR department should be great for online collaboration. You might also imagine that this feature is already weaved into your HRMS and you could simply rest. Unfortunately, most HRMS tools these days are still not very big on online collaboration and social media. Collaborative spaces help teams and employees to approach others in an organization effectively, without having to go through many procedures. In fact, you would imagine that HRMS already has some sort of online collaborative module in place. 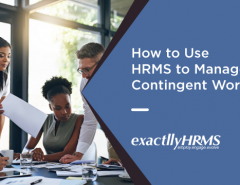 Most likely, the HRMS you use does not have it and you are losing out on a lot of potential efficiency. 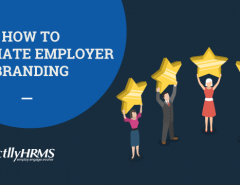 Your HRMS should be doing the following collaborative tasks when your employees need it. The HRMS should be able to share information across departments and silos. This should be done easily without any complex maneuvers from employees' side. Users should be able to share vital information across silos so that collaborative spaces can be created. Recruitment tools should be able to help you sift through thousands of online profiles. LinkedIn and other social media tools should be incorporated while using the HRMS. Moreover, you could get your HR department to collaborate with other departments so that recruitment campaigns are done seamlessly across silos. It is necessary for an HRMS to provide all the information necessary for new recruits with respect to the company. The HRMS should be able to do this all by itself, without the new recruits having to contact you all the time for small information. Certain forms and procedural work can also be done through these collaborative spaces. Collaborative training is one of the crucial aspects of HRMS. An HRMS should be able to let employees take up training modules and also be assessed automatically. When this is done on a collaborative space, employees can discuss with each other and track each others' progress. This is important to boost motivation and enthusiasm for the training program. HRMS should also employ an element of gamification. This helps to create a competitive environment in which employees feel motivated to finish their tasks, learn something new and also contribute and solve problems effectively. Gamification also helps in peer recognition, another hallmark of motivation enhancement tools. HRMS systems that do not have online collaboration features are quite useless in today’s world. 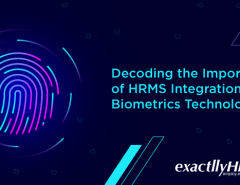 If you are using an HRMS that does not have the above mentioned features, speak to an HRMS consultant who could probably guide you how to customize your existing system. 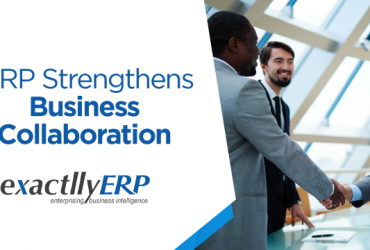 However, if you are considering purchasing a new HRMS tool, ensure that it allows your teams to collaborate with each other online. This should be quite easy; considering most HRMS tools have some sort of cloud computing system weaved into them. If the HRMS does not have cloud abilities, you must probably ask for that as well. 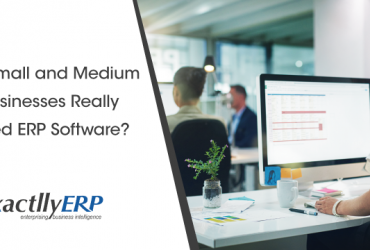 Next Article Do Small and Medium Businesses Really Need ERP Software?